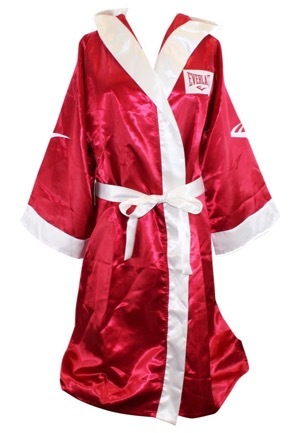 Attached to the inside rear collar is the Everlast manufacturer’s tag and an additional flag tag reading the size “M” and “100% POLYESTER”. 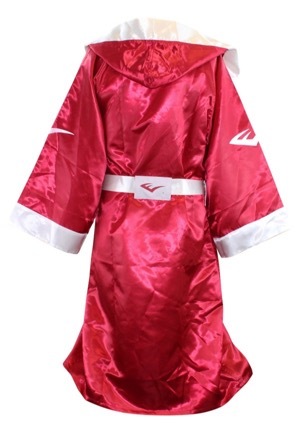 A red boxing robe with white trim and a white belt. 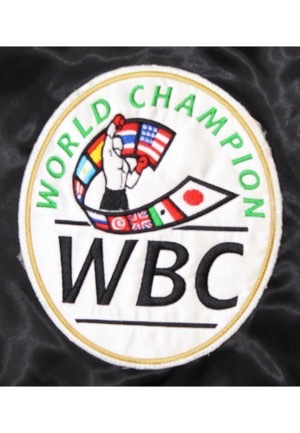 On the left chest and rear outside reads “EVERLAST”. 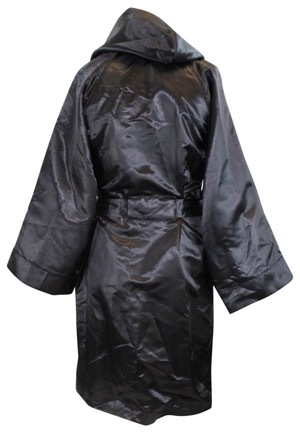 The other robe is all black with no manufacturer’s tags or markings. Below the rear waistband of the shorts is a flag tag reading the size “L MADE IN PAKISTAN” and a flag tag with shorts materials and washing instructions. Pinned on to these tags is a tag that reads “BILLY KO REEL” handwritten in black pen. 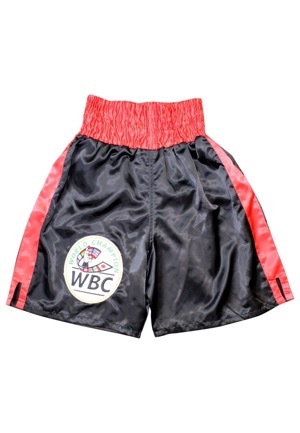 On the right leg is a large circular patch reading “WORLD CHAMPIONSHIP WBC” Black shorts with red trim. 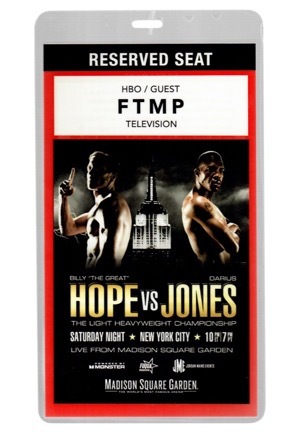 Also included is a “RESERVED SEAT HBO/GUEST FTMP TELEVISION” ticket for the Light Heavyweight Championship that took place in the film. 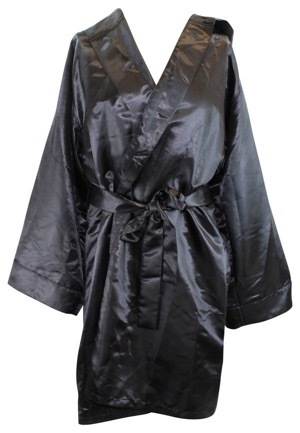 These items are properly tagged and were presented to us as screen-worn. Accompanied by Premiere Props COAs.